Beautiful picture!! I want to wear long skirts too now, it looks so magical!! I wish I could wear long skirts, but I fear I am far to short. Uf! Thanks so much for stopping by my blog. So sad about Frankie. Will they send it to you if you subscribe? Wow! What a beautiful photo!... its like a faerytale! Ditto! But I think I'm too short. just the whole thing is so cool. this skirt is so lovely! Beautiful. I always feel so awkward in long skirts. GUSHING over this. I want to wear long skirts now too... I didn't know this until now, but you've inspired me. oohh, me toooo! long beautiful skirts are perfect for warm weather! 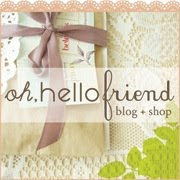 My name is Grace and I’m e-mailing you because I saw your blog (read it and loved it of course!) and thought that you might be interested in blogging about the launch of an online fashion community/store called Sway.com!